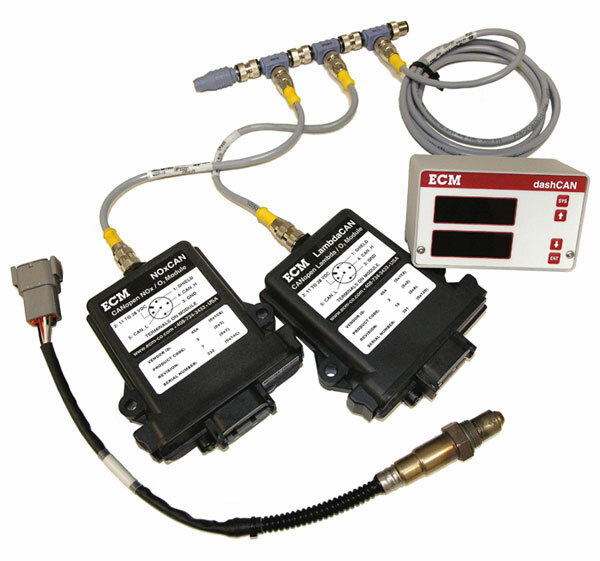 ECM's dashCAN+ allows the display and analog output of LambdaCAN, NOxCAN, NH3CAN, and baroCAN module parameters. 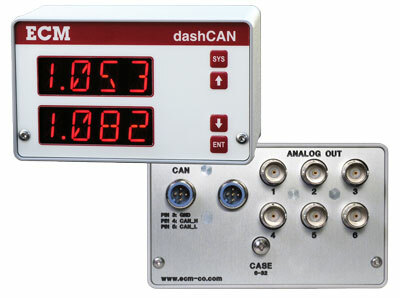 Simply attach dashCAN+ to the CAN bus and select one or two modules. 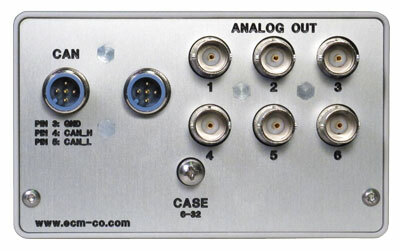 Any parameter from those modules can be displayed and converted to analog outputs, Module selection, parameter selection, display update rates, analog output scaling, and LED intensity are programmable via buttons on the dashCAN+. 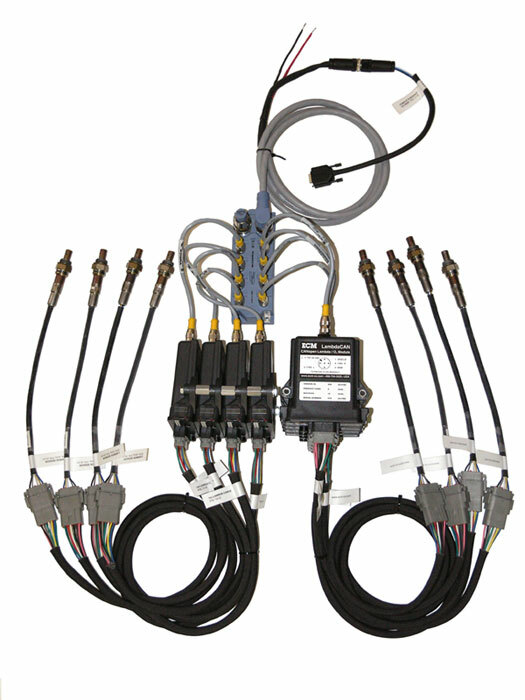 Multiple dashCAN+s can be attached to the CAN bus. 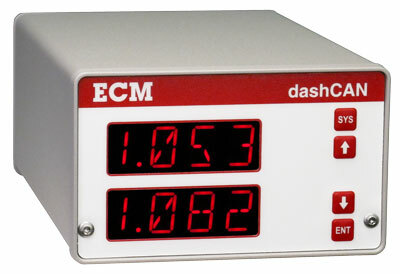 ECM's dashCAN+ is a superb addition to your ECM LambdaCAN, NOxCAN, and baroCAN network.